Alzheimer's disease. In this novel Genova gives the reader an eye opening look into what it must be like. Alice is a cognitive psychology professor at Harvard when she begins to have memory lapses. At fifty years of age, she is diagnosed with early onset Alzheimer's disease. We readers share her experience as she descends into dementia, as her husband and children cope with losing Alice, and as Alice begins to lose herself. This book is a "page-turner" yet is so hard to read, knowing people who are suffering in this way. What an insightful book! There are discussion questions at the back so this would make a great book for a book group. Food is not the problem, says Hobbs. It is a challenge, but the more troublesome challenge: ourselves. The struggle is in our heads. “First you change your mind, and then you can change your body and your life.” (36) She lists five decisions that must be made: being truthful with yourself and God, repent and ask forgiveness, make a commitment, seek knowledge, then daily surrender to God your life, your strength and your ability to change. Hobbs encourages a healthy love of food and knowing the real role of food. She has a great section on the types of food, what they are made of and why they are needed to supply energy to the body. Hobbs suggests calculating how many calories your body needs to sustain the weight you want. “All weight loss comes from a deficit of calories. Period. If you use more calories than you consume, you will lose weight.” (93) Hobbs provides some suggested exercises, too. The other part of the book I really liked was her ten ground rules for loving food and living well. One is “smile while you swallow.” Another, “feel free to spit it out.” Despite what my mother always said, “food can go to waste.” You don't have to clean your plate. The ten ground rules are great! One would not have had to read her previous books to benefit from this one, but to receive the full impact of what Hobbs is communicating, reading Never Say Diet would help. Strange things are happening in Chiril. It appears that an attack by Baardack may be soon. Village administrators are disappearing in what looks like a plan to prevent the people of Chiril from being organized in preventing the invasion. Add to the danger The Grawl, a hunter/beast like no one has seen before. He does not hesitate to kill those who cross his path. The three statues from The Vanishing Sculptor must be kept together. Tipper, Bealomondore, and their friends must find a place to hide the statues and keep them safe or it will be the end of Chiril as they know it. Will they make it to the Valley of Dragons before it is too late to save the people of Chiril? Will the peace loving artist Bealomondore be willing to use the sword the wizard Fentworth has given him? Donita Paul continues to please readers with her Christian fantasy series. She has created delightful characters, some menacing, some reluctantly brave, some confident in the power and protection of Wulder, and some delightfully lighthearted in the enjoyment of life. There are dragons, big ones, little ones. And then there is Lady Peg who can talk such nonsense you might laugh out loud! The storyline and characters are suitable for readers of all ages. The novel has a great mix of adventure and thoughtful reflection, interspersed with humor and a little romance at the end. The adventure will keep the young readers going while the reflection and humor entices adult readers. Christians will appreciate the continued revelation of the character of Wulder, the creator. Other readers will not find the religious aspect of the book too heavy to prevent their enjoyment of the novel. This is the second in a series and one may want to read the first, The Vanishing Sculptor, before reading this one. The book will be best appreciated by those who have read all of Donita Paul's dragon books. There is a nifty appendix detailing all of the characters and creatures, however, so even if this is the first of Paul's books you read, you can still figure out the essential aspects of the novel easily. Your soulprint is uniquely you, your gifts and passions. It is who you are and who God has destined you to be. God may use brokenness to reveal our soulprint. God may use a prophet to reveal our blind areas. We need to be in the process of self examination. Batterson's book is an odd combination of telling his own stories, giving examples from David's life, inserting biblical instruction on character development, and topping it off with some psychology (he likes the Johari Window, a cognitive psychological tool). He speaks of identity and security in Christ alone but also admonishes, “You control you.” (82) He tells us, “Be yourself. … Be authentic.” (100) To me, the message seems mixed. For a seasoned believer, I am not sure there is anything new in this book. For a young believer, this may be an encouragement. This book would best be used in community, in a discipleship group. Discussion over this book is essential. It is not a sufficient work to be used by one person alone. There are discussion questions in the back of the book and one of them is, “Most Christians would agree that it's important to 'find one's identity in Christ.' But how does one actually go about doing that?” (163) How indeed? Unfortunately, I don't think Batterson has provided the reader with a sufficient tool to definitively answer the question. This book was provided by review by The WaterBrookultnomah Publishing Group. He notes that Beck has mentioned several times that the “Constitution hangs by a thread.” Milbank says that this refers to a prophecy by Joseph Smith in 1840 that when the Constitution hangs by a thread the Mormon elders would step in and save the country. Milbank does a great job of reviewing Beck's nasty attacks on individuals and then documenting the actual truth about the attacked person. If you are one of the 0.9 percent of Americans who watch his TV show (108), you'll hate this book. If you think Beck is an “entertainment genius” (166) who is manipulating Americans and laughing all the way to the bank, this book will confirm your opinion. 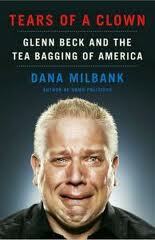 If you are somewhat neutral toward Beck, read this book. It just may open your eyes. Hermann believes God has an exceptional and unique calling for America. Those with Marxist/socialist goals have infiltrated America's influential institutions, however. Hermann believes America can be restored to its original covenant with God. She seeks Cultural Warriors to help in the task. Hermann might have taken her own warning. Should so much store be placed those Puritan prophecies? I think not. Most Bible scholars conclude that America really has no place in biblical prophecy. I would be discriminating when reading this book. This book was provided for review in an egalley form by AMG Publishers. In this well written autobiography Rice begins her story with growing up in the 50s and 60s in Birmingham and the tension of forced integration. Her family moved to Denver. Continuing with piano, she also explored ice skating. She started college (while still a senior in high school) when she was too young to drive. She studied international politics under Josef Korbel (Madeleine Albright's father). She was ready to apply to graduate school at the age of nineteen. She was accepted to Stanford (under affirmative action). She used generous leaves from Stanford to work under Snowcroft (National Security Advisor) and experienced the fall of the Berlin Wall. She finished her doctorate, received tenure at Stanford, then became provost. The book ends just as she leaves to become part of the Bush administration in 2001. I will certainly be waiting for the rest of the story from this intelligent and accomplished woman. Morris knows health care has to change. He also knows health care is not just broken bodies. It is broken lives too. The Bible is clear that God's people are to care for the poor, the sick, widows and orphans. He suggests churches and Christians get involved by reclaiming the biblical mandate for healing. Historically Christians offered hospitals. The situation changed in the nineteenth century when hospitals became places to heal the sick and church became places to heal the spirit. Morris runs a clinic in Tennessee for those unable to afford health care. People who visit the clinic see a health coach and are taught about nutrition, activity, family, emotional life, work, and faith. 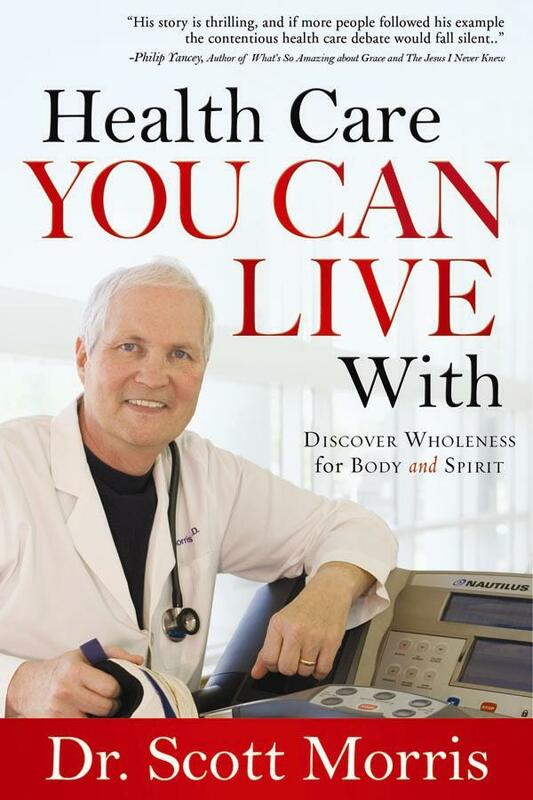 Morris has the “conviction that God's will is for you to live a full, abundant life in God's kingdom.” (235) His book has a model for healthy living and gives the reader a framework for implementing a wellness plan. Reading this book will help you to plan your life and faith and move toward genuine wellness. This book was provided for review by The B & B Media Group for the publisher, Barbour Publishing. Paul's wife, his best friend, died when she was only sixty-five. That prompted him to investigate heaven. Heaven is the dwelling place of God and is from where He governs. It is Paradise. It is lavish and endless rapture and satisfaction. The joy there will be intense and unending. “Upon Jesus' return, however, we receive a body like Christ's resurrection body.” (75) The resurrection body “will be heightened spiritually.” (81) We will not have the physical and spiritual limitations we do now. Our health and senses will be perfect. “In eternity, we will have bodies that are eternally youthful and beautiful.” (132) We will have our distinctive personalities (without the negative aspects). We will remember past events. We will eat in abundance (even meat, although the issue of killing animals in heaven is addressed, then skirted). “The new heaven and the new earth are the final destiny for believers.” (23) Heaven is our true home and is what we long for. “We will excitedly greet one another at that glorious reunion with our believing loved ones. … Scripture is also clear that there will be recognizable reunion with family members immediately at death.” (43) “...[W]e too, in heaven, will remember both the people in our lives and the details of our life on earth.” (162) (Isa. 65:17 not withstanding.) “And we will know each other better than we know each other on earth.” (162) The love husbands and wives have will be better (but he does not really address the marriage concept). Enns investigates the relationship of the millennium to the final state. “...[T]here is a continuity between the millennial kingdom and the new heaven and new earth...” (157) “...[T]he glorious millennial kingdom [will] give rise to the eternal state of the new heaven and the new earth.” (169) “After that thousand years we will live forever on the new earth.” (107) The earth restoration will be to its pre-fall condition – a perfect environment. People will be building homes and planting vineyards. There will be a fulfilling of God's original purpose for man. What do I think of Enns' book? He says people will continue their professions - carpenters will continue to build. Some of our building now is based on the decay of the old. But this will not happen in heaven. How many new houses can be built before no more are needed? What about repair people, as nothing will break? He notes that there will be no police cruisers (150) so what will believers in law enforcement here do there? Enns takes Jesus' story of Lazarus and the rich man (Luke 16:27-28) as an actual description of a future state (any Bible scholars warn about doing so, saying it is a parable only). Enns also makes much of the phrase “gathered to his people” (Gen. 35:29, Gen. 49:33) to mean that the dead join family members in heaven (when many scholars say it just the fellow died – joined his relatives in death, so to speak). Because Enns believes the millennial state moves right into the “heaven” state, he has taken descriptions of the millennium to apply to heaven as well. I am not so sure that is the proper way to interpret those Scriptures. I would be cautious about much of Enns' book. He has interpreted some of Scripture in the light of wanting to be reunited with his wife. This book was provided for this review as an Advanced Reading Copy in egalley form by the publisher, Moody Press. The book releases March 1, 2011. Palin is convinced we are in danger of losing our American exceptionalism. She is disturbed by President Obama's international apologies for America's actions. She says, “There has to be a middle ground, a way of talking about America that shows we are proud of her greatness but not blind to her flaws.” (63) “...[W]e have a special message for the world...a special mission to preserve our greatness for the betterment of not just ourselves but all of humanity.” (69) She longs for the time when America was striving to achieve noble goals. What do I think of this book? My two missionary sisters married Europeans. Because of that, I have often been enlightened as to the European view of America. It has not always been pretty. The rest of the world has not always appreciated the American idea that we know how to run the world better than everyone else. Palin knows the place she would like to see America have in world. I am not so sure that is a good idea, or even possible. 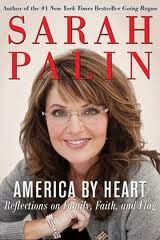 Palin's book has no footnotes, even though she quotes more than an entire page of a source. She does list her sources at the back of her book, but I'd rather have better documentation. (I know how easy it is to take statements out of context. That is why I always have page references in my reviews.) I find it amazing that Palin has become so literate in the last couple of years, reading so many books, magazines, and newspapers. Or does she have a good research staff and a terrific editor (dare I say unidentified co-author)? Are the Bible and science incompatible? Is the Bible out of date? Not so, says former high school biology teacher Ben Hobrink. He has taken note of the objective and verifiable facts about history and science in the Bible. Only in this century, he says, are we able to establish how scientifically correct these facts are. In the area of natural sciences, Hobrink notes that Noah's ark was much more sea worthy than Utanapishtim's cube (flood story from the Epic of Gilgamesch). He shows that the ark had more than enough room for the designated animals and that there is evidence for a global flood. He notes that the Bible speaks of the water cycle long before it was “discovered,” ocean currents, the spherical shape of the earth, and accurately describes star groups. He reminds his readers of the extreme improbability of all the fulfilled prophecies happening by chance. He addresses evolution and the lack of transitional forms at the protein level. “In modern biology, there is no proof whatsoever to be found for evolution.” (146) He highlights problems with fossils and geological evidence (such as lava formed at Mt. St. Helens was dated at 2.8 million years old). Hobrink defends a young earth and a global flood. He ends his book with an extensive section on the reliability of the Bible. Explained are seeming contradictions and mistakes in the Bible. He defends the Bible against modern attacks, one by one. Hobrink's work is accurate, up to date, and well documented with footnotes. This would be a great book for students and parents involved in defending the Bible and its message against attack. This book releases Feb. 8, 2011. I was provided with an advanced reading copy in egalley form from the publisher for this review. All page numbers refer to the egalley and may not be accurate to the final book. Howard Books, a Division of Simon and Schuster, 288 pages. Mabry is an MD and this was his first novel (Prescription for Trouble series, #1). There is now a second in the series. Dr. Cathy Sewell returns to her hometown to set up her practice after she was jilted in a relationship. But things don't go so well. Ghosts from her past return to haunt her. She is mad at God because of the untimely death of her parents. The local hospital refuses to give her privileges. Someone wants to ruin her practice and perhaps even kill her. The is a pretty good first novel. There is lots of medical information done in a way that is understandable and interesting. There is a little romance - just enough. The way the guilty person is found out is an overused plot technique and I think the author could have done better. The character development of Dr. Sewell is lacking. I am always a bit mystified when an author of one gender has a lead character of the other. Here, a male author has a female as the lead character. I am a bit bemused that a man should presume to understand a woman to the extent that he feels he can write a novel from her viewpoint. Katie is a telephone operator in Mercy Falls at the beginning of the twentieth century. Her father, in dire financial straits, has arranged a marriage for her to a man with financial means. But she is falling in love with Will, the new lightkeeper in town. Can true love win out? Will she be forced into a marriage she does not want to keep her parents alive and well? As Will and Katie try to find the pirates and recover the gold a secret from Katie's past might just ruin everything. And the pirates will not hesitate to kill to preserve their ill gotten gain. The main characters in Coble's book are Christians and they are portrayed well. This is a nice light read. It is available from the Sno-Isle Library. Sensationalism sells. In the Christian book market, it is prophecy. He notes that some great financial crisis is needed to create the one world order. “Many believe that the 2008 financial meltdown was that crisis.” (47) He speculates the crisis was a “preplanned event designed to show the effectiveness of governmental intervention.” (83) He argues that “...the process of ever-increasing consolidation of power in the hands of fewer and fewer people is well under way.” (85) Jeremiah wonders if this is setting the stage for the Antichrist. People have been concerned about the rise of the Antichrist since Christ returned to heaven (see John's letters). I've read lots of book on prophecy. Many (such as Hal Lindsey) predicted immediate dire circumstances. But they've all proved fruitless. Regardless of prophecy books going out of print because their predictions remained unfulfilled, sensationalism still sells. Jeremiah is a pre-trib believer: “The Rapture of the church will precede the revelation of the Antichrist.” (106) So, if believers will be out of here anyway, what's all the fuss? If I am so critical of current prophecy books, why do I read them? It is to take the authors to task. Here is an example from Jeremiah's book. While Jeremiah says Christians will be taken out before the Tribulation, he says, “But what about the 'birth pangs' Paul speaks of in Roman 8:22 that will lead up to that climactic period when governments make it increasingly harder for Christians to function faithfully without paying a price? We are already beginning to feel those pangs” (152) Have you read Rom. 8:22,23 lately? In the ESV it reads, “For we know that the whole creation has been groaning together in the pains of childbirth until now. And not only the creation, but we ourselves, who have the firstfruits of the Spirit, groan inwardly as we wait eagerly for adoption as sons, the redemption of our bodies.” Jeremiah has misrepresented those verses, and, no, we are not “beginning to feel those pangs”! Paul says they already were in existence when he wrote. Is it just me who thinks what Jeremiah has done here is not proper? Here is another problem. Jeremiah says Christ's rule during the millennium (one thousand years) will fulfill prophecies such as Isaiah 9:7 and Luke 1:33. Isaiah says the throne and kingdom would be “from this time forward, even forever,” and Luke also mentions that the rule will be “forever” and “of His kingdom there will be no end.” In my mind “forever” and “no end” are not the same as a thousand years! Such is the twisting of prophecy when it has got to be made to fit into an already designed scheme. Jeremiah concludes his book by encouraging his readers to be actively caring for their financial resources to prepare for “the worst of any economic disaster that may come.” (247) Inventory your financial situation, minimize your debt, manage your money on biblical principles, and keep your hope in God. This is January of 2011. If you're reading this in 2015 or 2020, be sure to write a footnote in the records of Christian prophetical writing adding David Jeremiah to the ever increasing number of authors who believe prophetic sensationalism sells. FaithWords (Hachette Book Group), 263 pages. Warren Wiersbe is a Bible scholar and author of popular commentaries called the “Be” series (Be Confident, Be Mature, etc.) I have used his books as resources in my Bible teaching and appreciate his ability to reveal biblical truths in an understandable way for lay-men and women. Pause for Power is a collection of insights from Wiersbe from a number of his commentaries (Old Testament books Job, Proverbs, Ecclesiastes, and Isaiah, New Testament books Romans, 1 and 2 Corinthians, Philippians, Colossians, 1 and 2 Timothy, Hebrews, James, 1 Peter and 1 John). A short biblical passage is recorded and most often an longer passage is listed. Then an insight from Wiersbe's writings is given. The daily reading ends with a thought provoking question, something to ponder during the day. While I have not read the entire book yet (I am reading it as my devotional this year) I do like what I have seen so far. Wiersbe's insights are very practical and address daily life and the development of a Christlike character. The only aspect of the book with which I am unhappy is that instead of being dated, each page is headed as “Day 1,” “Day 2,” etc. I would have preferred the date heading the page so I know if I am behind. With this way of listing the readings, however, one can use the devotional and not be tied to reading by date. This book was provided for review by The B&B Media Group Inc. for David C. Cook, the publisher. Suzanne Kidwell hosts a TV show called “Judgment Day.” She exposes anyone she can get the dirt on. But she is caught in making a public accusation without the facts to back it up. Someone is out to ruin her and frames her for murder. Private eye Marcus and his partner, Alex, agree to help her find the guilty person and clear her name. Alex is also working the case of a missing teen and the two cases intersect. Bad guys cozy up to runaways and end up using them for financial gain. It's not pretty. Dyson writes great fiction. The plot is exciting and full of action. The personalities are well developed and very believable. Some you'll like and others are so greedy and evil you'll be glad when they meet their end. Marcus and Alex are Christians but they still carry guns and shoot bad guys. There are a few deaths in this book and some passages not for the queasy. There is also a slight hint of romance – just enough. I love a good mystery and Dyson does not disappoint. This is the second of her books I have read and I'll keep watch for her next one. What would you do for a twenty-four hour period of time if the only criterion was to pursue your deepest joy? His book is based on three assumptions: Sabbath is not an option (it is a commandment and Jesus did not cancel it), Sabbath is a day of delight, and Sabbath is a feast day that remembers and anticipates. Allender is clear that Sabbath is not attending church and then going about your business. It is not just a pleasant day away from work. We must be intentional and make preparations ahead of time to experience the joy of Sabbath. Our Sabbath is to be sensual. Our senses should be ready to taste His goodness, to get lost in beauty. “Sabbath is the day we put to rest all tension, strife, and fighting.” It is the “day we set aside to look at one another from the vantage point of eternity...” It is a day for justice, for dreaming. Allender says, “Few people are willing to enter the Sabbath and sanctify it, to make it holy, because a full day of delight and joy is more than most people can bear in a lifetime, let alone a week.” He does give us insight into what prevents us from enjoying what God has for us. This book was provided for the purpose of this review by Thomas Nelson Publishers. In this era of political correctness, Ali is very incorrect. Having been raised a Muslim and then rejecting that faith, she knows of which she speaks. The first part of her book is biographical while the latter part reveals her thoughts on her new national home, the United States. It was interesting to me to understand that the current militant and aggressive form of Islam did not rise until the 1980s. Europeans and Americans were caught napping. She gives a serious wake up call to Christians. While not a Christian herself, she argues that the Christian God is the God the Muslims are really looking for - a God of compassion and love. Christians missed the opportunity to speak to Muslims when the possibility was presented. She suggests Christians increase their commitment to Christian schools, countering the strict Muslim schools. Her passion now is to educate the public about the fate of women under strict Muslim rule. She is concerned that the mutilation of girls still occurs and that honor killings are still committed, even in America. This is certainly a wake up call to those who think all cultures are equal. Ali argues that some are not as good as others and need to be challenged before it is too late. I was taken by surprise. I thought I was reading a Christian sci-fi novel of a carefully crafted virtual reality world gone bad. Then, it becomes an exciting allegory of the Creator entering our world to save us. The God Hater is a very well written story. I was captured at the beginning when two professors, one a Christian and the other a God hater, have friendly banter. As the story enfolds, we find that the God hater's brother has created a virtual world in which people evolve and develop a civilization. The beings in the program continue to self destruct when given free will. The God hater is asked by his brother to help find a way to save the virtual beings. Corporate espionage nearly destroys the project. There are some who will stop at nothing, including killing, to acquire the technology. Can the virtual world be rescued? What will it take? This is a page turner. It is a great allegory of of God entering our world and paying the price for our sins. How Myers developed this story to its dramatic conclusion is amazing. For those of you in the Whidbey Island area, you can request this book through the Sno-Isle Library system, as I did, so it won't even cost you to read this great book! Larkin has reinvented the Christian fairy tale, writing in the style of C. S. Lewis. Joran is a simple blacksmith in his village of Tebron. He is convinced he sees his wife in a romantic situation with another man and angrily sends her to her parents. In his subsequent dreams he sees his wife imprisoned in a castle above the ocean. Joran soon finds out she never arrived at her hometown and has mysteriously disappeared. As he sets out to rescue her, Joran comes upon an entrapped wolf. Joran frees the wolf, with whom he can mindspeak, and Ruyah becomes his faithful helper and traveling companion. Through various adventures, Joran learns that only he can free his wife. She is trapped in a prison created by Joran's anger and jealousy. Yet he is in his own prison of despair. Joran finds out what he must do to free his wife and travels a treacherous journey with Ruyah at his side. He must confront various forces hindering him, from without and within. At one point Joran is in such despair he quits trying and falls into a spiritual prison of lethargy. Only a spiritual battle, initiated by his faithful friend Ruyah, saves him. As the story progresses, Joran realizes errors he has made and is convinced he is not worthy of forgiveness. Faithful Ruyah continues to encourage Joran, helping him understand what must be completed to free his wife. At the end, in the style of C. S. Lewis, Ruyah is much more than just the wolf of Tebron. This is a great tale. Joran must find the strength to battle his own inner doubts and emotions as he struggles to free his wife. As the reader approaches the end of the story its allegorical nature is revealed. The ending is so satisfying it would make the book worth reading on its own. The whole story is well written, however, and well crafted. This is a very rewarding read. I recommend it for teens and adults who love a good fairy tale (with a happy ending). Living Ink Books provided me with a copy of this book for review. Rush says that if we feel like we are missing out on all God has for our life, we probably are. We get stuck because of walls that prevent us from living the life God intends. We get caught in a place where we make no spiritual progress for a long period of time. He wants Christians to live spiritually authentic lives. He has provided the biblical insights in this book to help people face their walls and break through to a better life. We overcome life barriers by learning to trust in, and intentionally pursuing God and what he has promised. Rush defines a “wall” as “an unhealthy mind-set that keeps you from living life as God intends.” The bricks making up the walls are negative thoughts about your circumstances (not the circumstances themselves) and doubts about God and His promises. The author says he has never seen a breakthrough without first acknowledging the wall. He spends several chapters giving the negative aspects of walls, such as identifying and naming them. Then comes discovering the promises that are the “positive opposite” of the wall and learning to walk in God's grace. This requires choice, self-control, and a plan. Then comes the proving ground of testing. Rush says there are no quick fixes. This book is “like a nutritional plan for your mind and spirit.” Readers are encouraged with many stories, some from Rush's own life. Readers are encouraged to become part of a community at www.FaithBreakthroughs.com. Unfortunately, Rush is good at telling people what they should do but really fails to give practical tools. Yes, we are to change our thoughts but how does that happen? Yes, we are to break down the walls, but tell me how to use the hammer! I think this book could prove effective only if it is used in a discipleship kind of group. One would need the suggestions and support of others to make the breakthroughs. There are discussion questions at the end of each chapter that could be used in such a group. Tyndale House Publishers provided an advanced reading copy for this review. It has been 15 years since Meyer wrote her book, Battlefield of the Mind. It was time for an update. Meyer again speaks to the power of our thoughts. She gives 12 power thoughts that she thinks will help us get in line with God's Word. She suggests that we concentrate on one power thought a week, cementing the truth into our thinking. The power thoughts are positive and based on Scripture. They include, "God loves me unconditionally," "I trust God completely; there is no need to worry," and the final "I put God first in my life." At the end of each power thought chapter are several biblical verses that can be memorized. She also includes several thoughtful questions in chapter with room for journaling. Paul tells us to renew our minds. Meyer has given us a way to train our brains to trust in God, believing what He says, and think thoughts based on His Word. I am glad that Meyer has matured over the years so that there is only a very slight reference to the idea of confessing wealth. This is a good resource for those who make the choice to discipline themselves and renew their thoughts. FaithWords, Hachette Book Group, 270 pages. I like to read light fiction at bedtime and this novel was a good book for that. It had the typical romantic plot, man loves woman but then an insurmountable problem arises. Can they get beyond that and unite their love? I decided to read this novel because the setting is Eastern Washington (my home state). This book is so plot and character driven, however, that it could take place anywhere. There are no descriptions of the rolling land, etc. That was a disappointment for me. This novel is a good study in love, hurt, and forgiveness. The characters are Christians and are portrayed very well. I recommend it for light reading. I read 214 physical books in 2010. Nonfiction was 123 while fiction was 91. That came to a total of 64,420 pages read. Add to that the 22 audio books I listened to on my iPod. (I request books on CD from my public library and transfer them to my iPod.) I don't attempt to keep track of the number of pages in the audio books. And then add the seven books I read as ebooks. Those included books from the public library in Adobe Digital Editions, Advanced Reading Copies from some publishers in ebook form, and books on my Kindle. My reading goal for 2011 is 200 pages a day: 100 nonfiction and 100 fiction. I blog a book review only after I have read the book. If I do a review of a book I have only skimmed, I will be sure to state that.